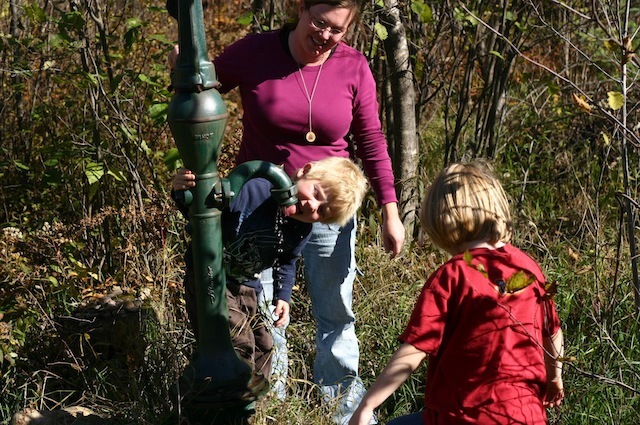 We haven't been able to make it up to the land since the poison ivy outbreak, but we have been busy researching hand pumps and sand point wells vs a professionally drilled well. For sure we are going to install a sand point well, so we can start planting trees and gardens in the spring. I really missed having a garden this year and can't wait to get my hands in the dirt again! Also, we can install a sand point well ourselves for the cost of materials; about $250 at the hardware store. 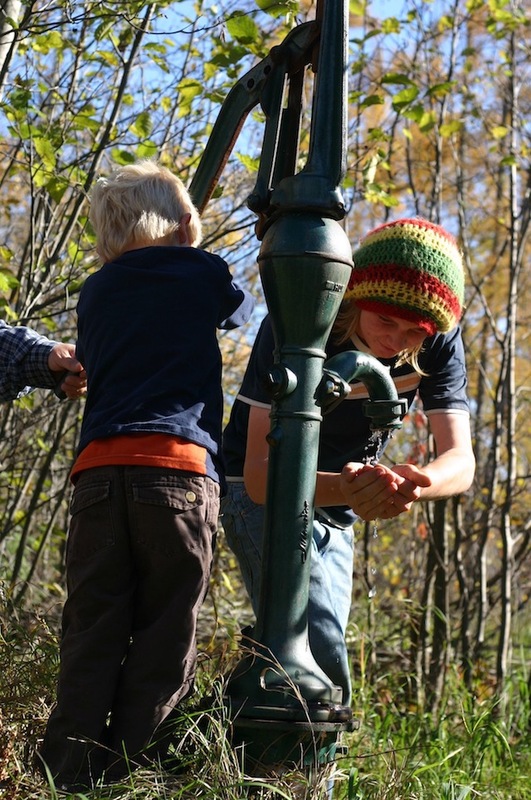 We're planning to install a hand pump very similar to the one shown in the photo above. We found this one on a property we walked two years ago. If you're curious about sand point wells, here's a video. I've also been knitting like crazy. After tonight, the nights are going to get much cooler. Which is fine when we're snuggled up in our warm house, but camping is a whole other story. We're going to be much more prepared for the weather than we were this spring! Socks, hats, and sweater's are high priority on the list right now. What projects are you planning for the fall? p.s. 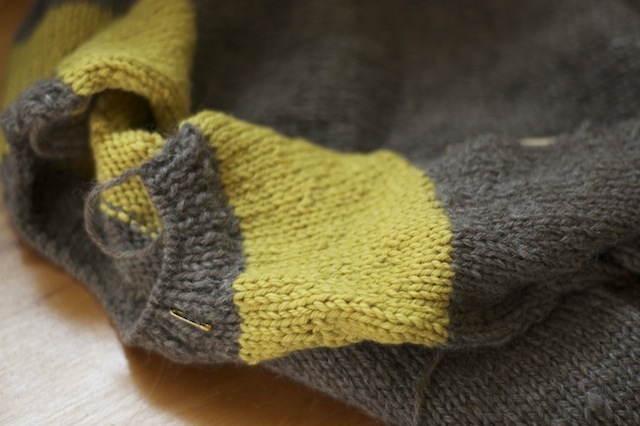 I forgot to mention that the yellow is the tansy yarn I dyed a few weeks ago. I love how it pops against the warm brown!